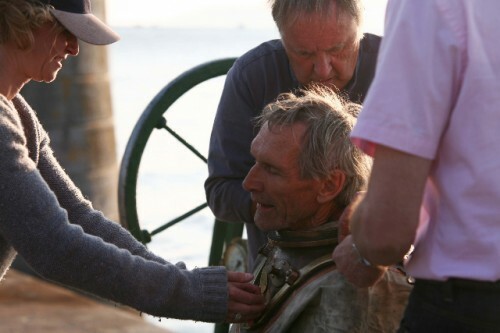 Amanda Bluglass produced and directed the touching short film documentary, Ray: A Life Underwater, which weaves the amazing story of Ray, a fascinating deep-sea diver. Filmmaker Danny Cooke directed the photography for this lovely piece. A rogue with an eye for salvage – and the ladies – Ray: A Life Underwater is an affectionate portrait of one man’s deep sea diving career, told through his extraordinary collection of marine artifacts. Like a modern-day pirate, 75-year-old Ray Ives has been scouring the seabed for treasure his whole life. The former commercial diver has plundered the deep for over fifty years, bringing to the surface anything that glittered — even gold. In a shipping container near the water, Ray tends his museum of cannon, bottles, bells, swords, portholes and diving gear. 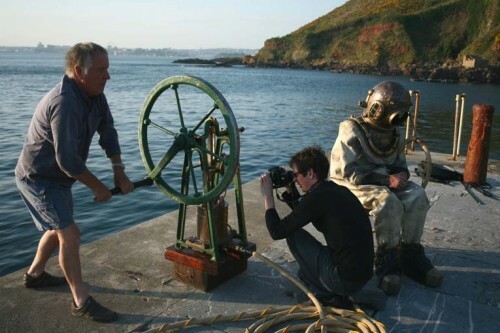 He even still takes to the water in a 1900s diving suit.